What if you took all those animated Christmas specials we all loved growing up, complete with toy making elves, Santa preparing for his yearly visit, a romantic subplot with a nerdy elf and an animated snowman narrator (as in 1964’s Rudolph the Red-Nosed Reindeer) and added a zombie invasion? 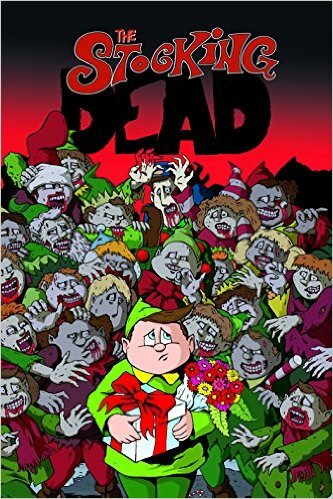 You don’t have to wonder because Dean Calusdian has brought us The Stocking Dead, a pun filled gore fest that pays homage to pretty much every Christmas special you ever loved as a child, and gruesomely dispatches them. After Mr. Floppington, a cartoon rabbit, falls into a vat of radioactive goo recklessly left in the arctic tundra not too far from Santa’s Workshop, he becomes an undead killer bunny that proceeds to infect all the elves of Christmasville. Our hero is Wendell, a misfit nerd elf with a penchant for invention and a crush on Noelle, a freckle faced elf girl. Wendell thinks he doesn’t have a chance with Noelle because Dirk, an alpha elf with “the physique of Legolas and the talent of a Keebler” is in the way. But we know that Dirk is really a loser and Wendell is really a hero, don’t we? I won’t give away the ending, but Calusdian takes the book in an unexpected direction. The plot is non-stop zombie madness, as Wendell tries to save Christmas, save the world, and get the girl. Along the way we are treated to parodies of the aforementioned Rudolph, The Grinch Who Stole Christmas, A Christmas Carol, It’s a Wonderful Life, Charlie Brown’s Christmas, and many, many more. Writer/Artist Calusdian fills the book with puns, such as when a chainsaw wielding Santa (channeling Ash from Evil Dead) dispatches zombies screaming “Let the slay bells ring!” and “Sleep in heavenly pieces!” The book also plays with the fourth wall. The narrating snowman exists both in and out of the panels, speaking to us as a a first person omniscient one moment and accidentally interfering with the action the next. It makes for some wild, Looney Tunes inspired action sequences. Genre mashing like this succeeds only when both genres are fully respected and Calusdian seems to have a love for both. Zombie movie and Christmas special tropes are very different, and it takes just the right kind of art to blend the two. Here Calusdian makes some wise choices. The book is printed in full color on shiny pages, so it feels like Christmas, even as the cover, featuring Wendell, shows him surrounded by ghoulish zombies. His art is cartoonish, evoking both the stop motion models of Rudolph and the flat cartoonishness of specials like Frosty the Snowman. Add in the Mad Magazine/underground comic aesthetic of over-the-top violence, and you’ve found the perfect tone. The book is for older readers but really, (and I probably shouldn’t say this) the right 12-year-old would love to find this in his stocking. (The 12-year-old’s mom will hate it.) It will freak little kids out, so it’s not for them. It’s the perfect gift for someone who doesn’t love Christmas but used to, and it’s also perfect for that someone in your life who loves Christmas a little too much and needs to take it down a notch. 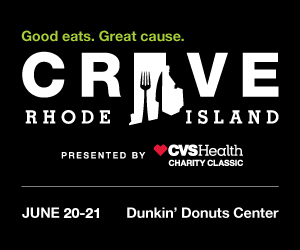 As an added bonus, Dean Calusdian lives right here in Rhode Island, so you’ll be supporting a local artist. Check it out.